Published: Jan. 3, 2017 at 03:32 p.m. Updated: Jan. 16, 2017 at 10:53 a.m.
Like all NFL fans, I'm excited for the start of the postseason. However, the end of the regular season also serves as the unofficial launch of draft season. Twenty teams have seen their 2016 season come to a close, and their attention has shifted to upgrading their rosters via free agency and the draft. 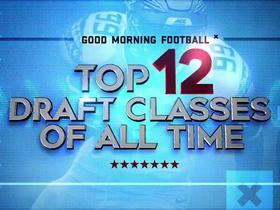 Several of those 20 teams will be in the market for a new quarterback. Here's a look at 8 teams that need to add a signal-caller in the offseason. With free-agent and trade options typically limited at QB, the draft might be their best hope of finding a potential long-term answer under center. I've ranked the teams based on their level of need at the position. Analysis: The Browns own two first-round selections in the upcoming draft, including the first overall pick. They selected Cody Kessler in the third round last spring and also added Robert Griffin III in free agency, but I don't think that will deter them from adding another QB early in the 2017 draft. Kessler showed some positive signs in his play this fall, but I thought it spoke volumes about their opinion of him when they inserted RG3 into the lineup at the end of the season. Griffin played well in the final game against the Steelers' backups, but I don't view him as the long-term solution at the position. Analysis: The Jets have a bevy of quarterback options on their roster, but none of them inspire much confidence. Ryan Fitzpatrick, Geno Smith, Bryce Petty and Christian Hackenberg are each backup-caliber quarterbacks. 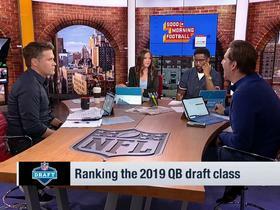 The Jets could look to bring in a talented veteran like Tony Romo or Jay Cutler, if they become available, but I'd also expect them to do their homework on the top quarterbacks in the draft class. Analysis: The Niners are in the middle of a massive organizational overhaul, having just relieved GM Trent Baalke and head coach Chip Kelly of their duties. Colin Kaepernick had a decent season while surrounded with very little talent. However, his inconsistency as a passer will always have a limiting effect on the 49ers' offense. They are basically starting from scratch as an organization, and often times that coincides with the arrival of a new quarterback. Analysis: The Bears appear to be ready to close the book on the Jay Cutler era in Chicago. Cutler is an immensely gifted quarterback but for whatever reason, the team hasn't enjoyed sustained success under his leadership. Matt Barkley showed some positive signs this year before turning the ball over at an alarming rate to end the year. He should be a solid backup and could briefly bridge the gap while a rookie quarterback is groomed for the position. Analysis: The Bills' decision to sit Tyrod Taylor in the final week of the season tells us all we need to know about their opinion of their quarterback situation. Taylor has put up respectable numbers since arriving in Buffalo, but his inconsistency was a concern. I'm not convinced Buffalo will find an upgrade in this draft class, and I'm pretty sure EJ Manuel isn't the answer, either. Cardale Jones has tremendous upside, but he's a long way from being ready to start in the NFL. Analysis: The Texans thought they solved their quarterback quandary when they signed Brock Osweiler to a lucrative offseason contract. However, Osweiler really struggled in Bill O'Brien's system and was eventually replaced by Tom Savage. While some are high on Savage's physical tools, I haven't seen enough to simply hand him the keys to the future without bringing in some healthy competition. Analysis: The Cardinals were one of the most disappointing teams this fall. 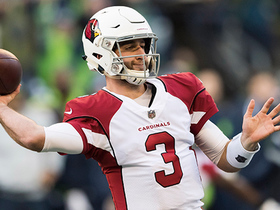 Coming off an appearance in the NFC title game, many in the media expected Arizona to ultimately represent the NFC in the upcoming Super Bowl. Instead, the Cardinals finished the season under .500 (7-8-1). Carson Palmer had a solid season, but there was a dip in his production. If Palmer was 5 years younger, I wouldn't expect the Cardinals to jump into the quarterback market. He's 37 years old, though. I anticipate GM Steve Keim addressing the position early in the 2017 draft. Analysis: The Jaguars were preseason media darlings because of the young talent on their roster. However, the season didn't quite go as planned, and head coach Gus Bradley was dismissed. Quarterback Blake Bortles took a step backward in his development, although he did play well at the end of the season. 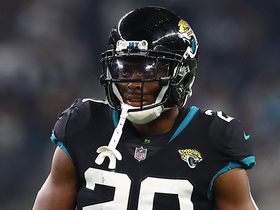 I don't think GM David Caldwell will look to replace Bortles in the offseason, but I wouldn't be surprised if he used a mid-round pick to bring in some competition.